Is Pulse Sports Kodi addon not working for you in 2017? Here’s how you can fix it by installing it the right way on your Kodi setup. So, you’re a sports fan, huh? Well you have come to the right place if you are a sports fan with a fresh Kodi installation. If you are a lover of sports that are extremely popular in the United Kingdom and across Europe, then the Pulse Sports add-on is likely something that is going to appeal to you. This gives instant access to hundreds of sports channels for your own enjoyment. Let’s dive right in and take a look at the process. Step 1: First and foremost, you are going to need to have the Kodi installation up and running on whatever device it is installed on. Launch Kodi and select the ‘Settings’ icon from the main screen and navigate to System settings > Add-ons. This will take you into the individual preferences relating to how add-ons work throughout the system. Step 2: Within Add-ons you will see an option for Unknown sources. Make sure the toggle switch on the right-hand side of this option is toggled into the On position. We will now be able to add new sources to Kodi. Step 1: With unknown sources enabled, select the ‘Settings’ icon again and then head into the File manager option. Inside here you will see an option called Add source. Select that. Select OK to exit and then enter a name for the source. Call it Super Repo or anything. Step 3: Head back to the main menu, select Add-ons followed by selecting the box-like icon (Add-ons browser) and then Install from zip file option. 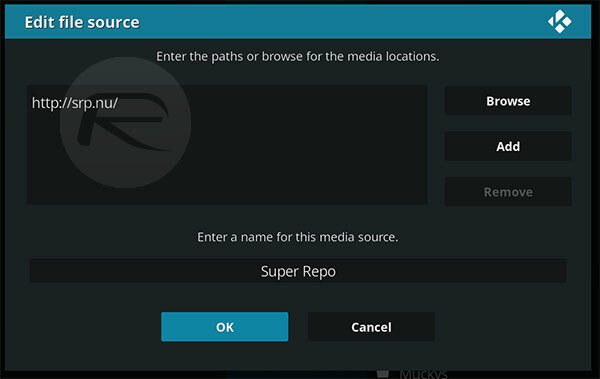 Step 4: Choose the Super Repo directory that you just created and then the Krypton folder. Once you are inside of Krypton, choose all. 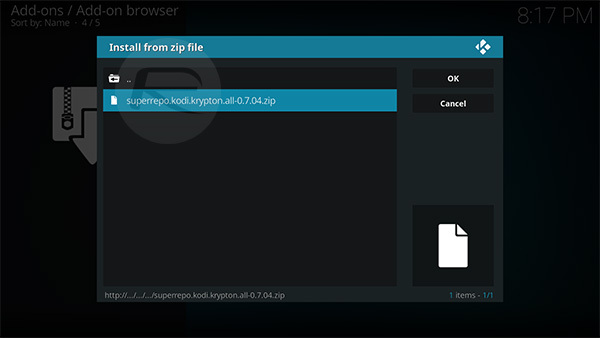 Step 5: You will find a zip file titled superrepo.kodi.krypton.all-0.7.04.zip. Select that to install the repository. Step 6: Now you need to head back to the main menu, select Add-ons followed by selecting the box-like icon (Add-ons browser). Step 7: Here select Install from repository, and navigate to SuperRepo All [Krypton][V7] > Video add-ons. 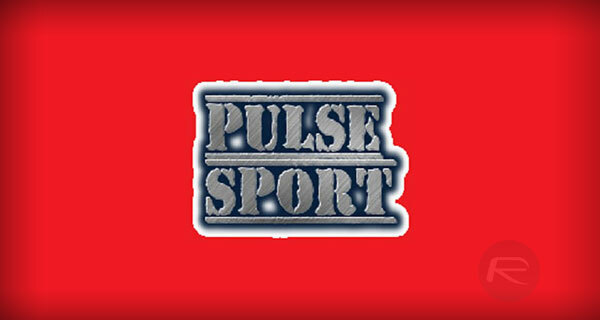 Here locate the Pulse Sports option, select it and hit the Install button. That’s it! 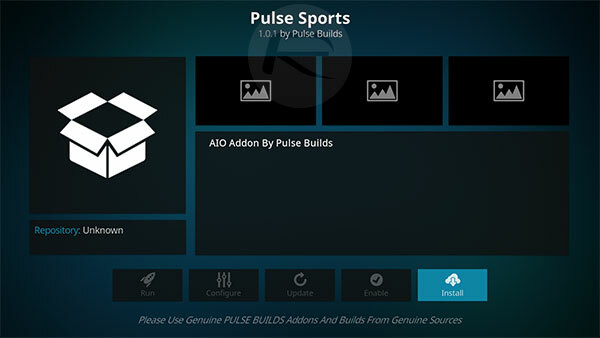 Once Pulse Sports add-on is downloaded and installed, Kodi will notify you. You can then head over to the main Kodi menu and launch the add-on from there.